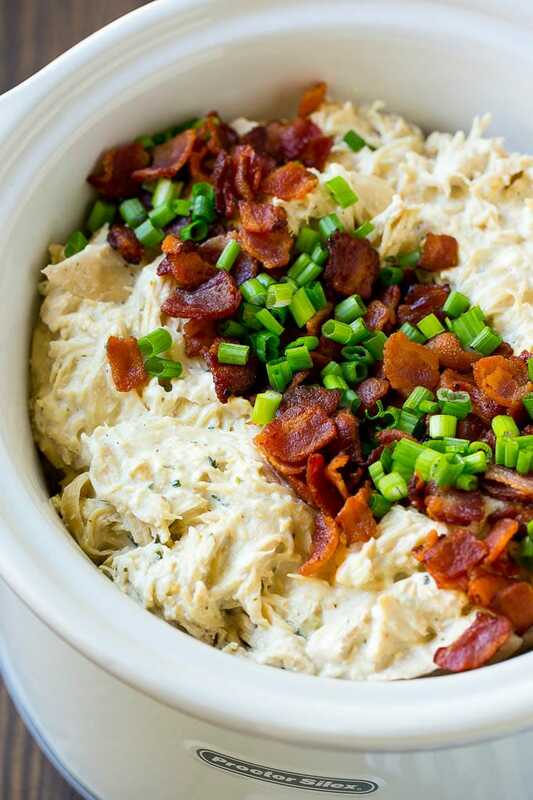 This crack chicken is creamy ranch flavored chicken that’s cooked in the crock pot until tender. A super easy slow cooker recipe that only contains 3 ingredients. 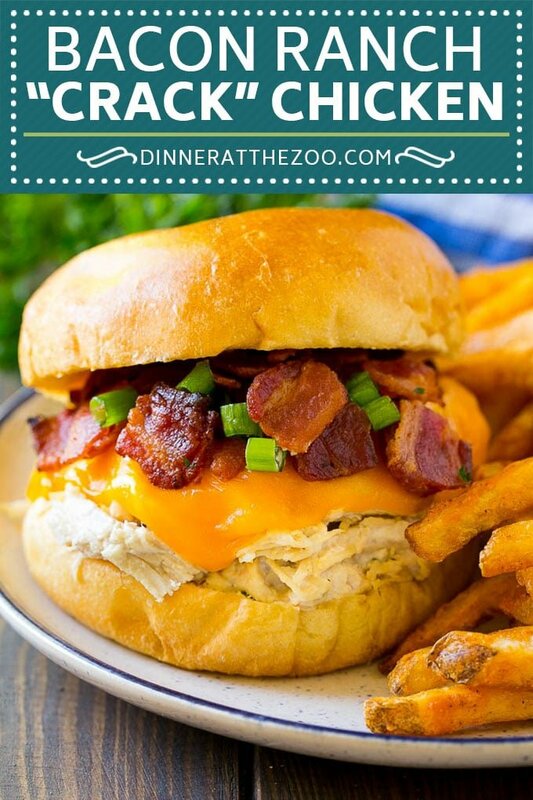 I make a lot of slow cooker dinners like apricot chicken, beef stroganoff and sloppy joes, but this crack chicken has to be one of our all time favorites. It takes just 5 minutes of prep time and the recipe can easily be doubled or tripled to feed a crowd. Today we’re talking about crack chicken. You’re probably wondering where it got that unusual name, and the reasoning is, this chicken is so good it’s addictive! You won’t even believe how easy it is to make, simply throw the ingredients in the crock pot and come back later to a delicious meal. 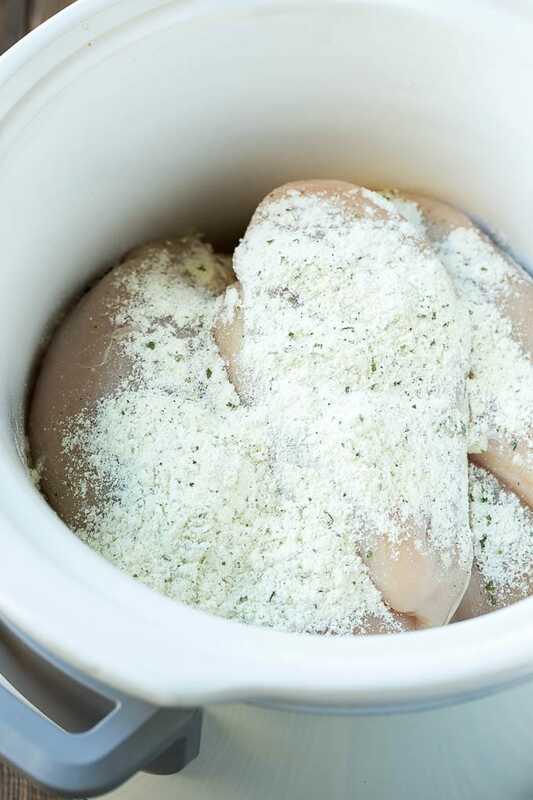 This crack chicken has just 3 ingredients – boneless skinless chicken breasts, ranch powder, and cream cheese. Everything goes into the slow cooker and simmers away until the chicken is tender enough to shred into bite sized pieces. You may be tempted to add some liquid to your crack chicken, but additional liquid is not necessary because the chicken will release juices as it cooks. You can use chicken thighs instead of chicken breast if you prefer. Do not use low fat cream cheese, it won’t melt as well as regular cream cheese. 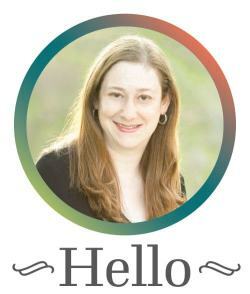 You can use flavored cream cheese, such as jalapeno or garlic and herb cream cheese, for an extra level of flavor. How do you shred chicken? After your chicken is done, simply grab two forks, shred your meat and mix everything together, and dinner is ready! 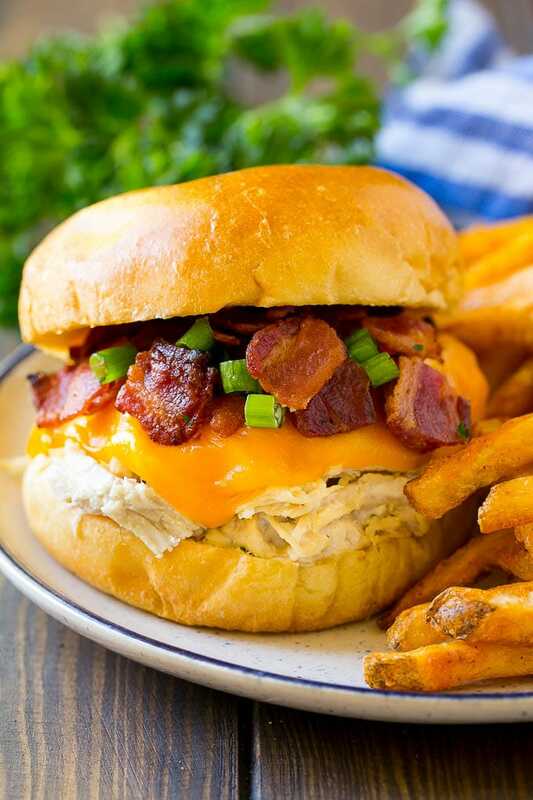 You can serve this crack chicken as-is, but I highly recommend adding a topping of crispy bacon and sliced green onions. How do you eat crack chicken? The most common way to eat crack chicken is in sandwich form. 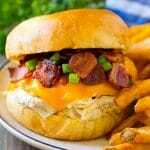 I pile the chicken onto brioche buns and add a slice of cheddar cheese, bacon and green onions for a satisfying meal. However you serve your crack chicken, it’s sure to be a big hit! Admittedly this is not the most beautiful dish, but what it lacks in looks, it makes up for in flavor. Your family will certainly agree. 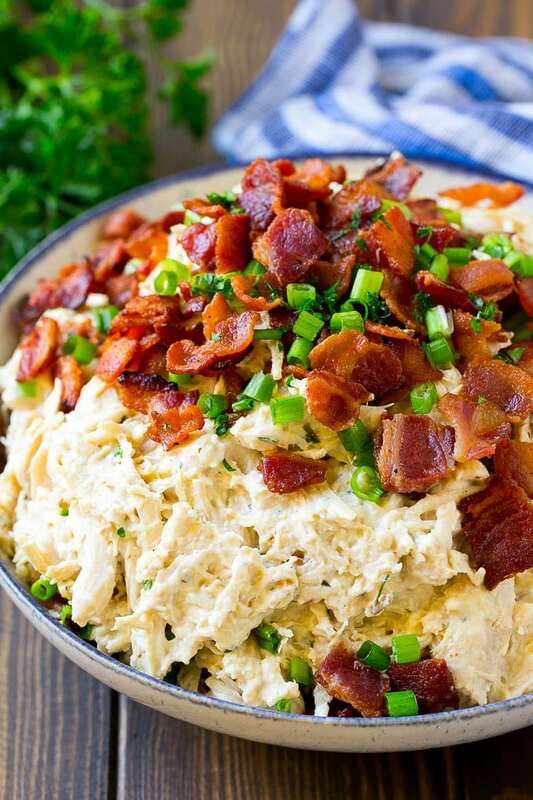 This crack chicken is creamy ranch flavored chicken that's cooked in the crock pot until tender. A super easy slow cooker recipe that only contains 3 ingredients. 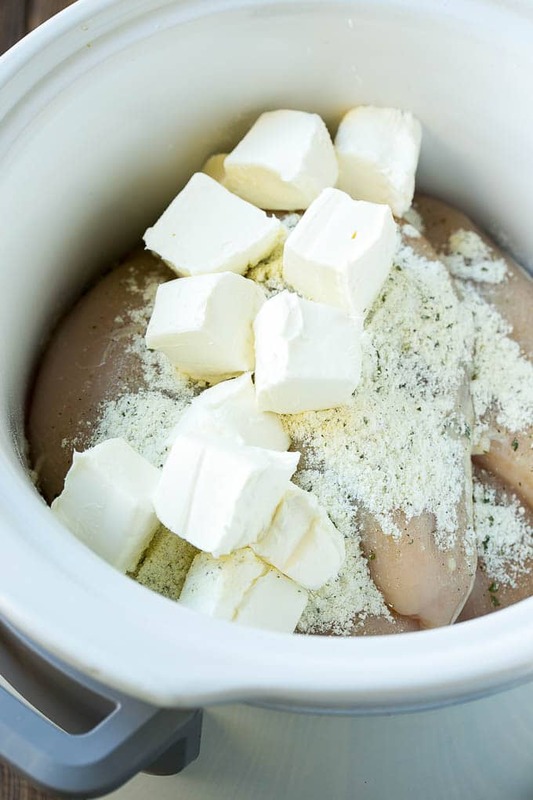 Place the chicken breasts, ranch seasoning and cream cheese in a slow cooker. Shred the chicken with two forks. Stir until everything is thoroughly combined. Serve, topped with bacon and green onions if desired. I think that would be fine, although I’ve never tried it that way!